With the passing of Wayne Dyer this week, I have felt called to speak about how his teachings have influenced what we do at Sprouting Chefs. Although we focus on garden programs in schools, a main ingredient we like to foster is the love within us and all around us. How if we truly love ourselves, each other and the planet, we are more likely to eat well, live well and foster an ongoing love for the planet. 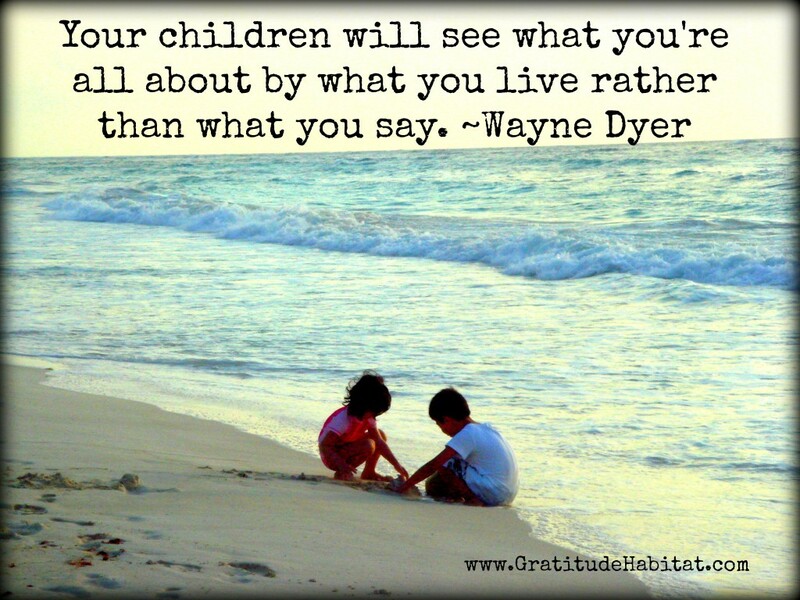 One of the most important influences I have taken from Wayne Dyer and then tried to translate back to the children I encounter is that we are not our bodies. We are not our “stuff”, We are not our careers even. We are that which never changes. We are love. We are light. We are unique and special just being who we are. And that is enough. Creating a legacy, something for my children and the children of the community has been a personal mission of mine when it comes to school gardens. A place where we do not only learn about food and nature,science and math, but where we can learn about ourselves and how we can better interact with ourselves and each other. I am definitely not the perfect parent. I don’t always say the best things in the right way. Garden Club however, gives me a chance to right things; to speak about deep truths with kindness like the virtues of Love, Forgiveness, Service, Compassion and Patience. After all, we teach what we most need to learn. I have to learn Patience when 5 children are asking me a variety of questions at the same time. I have learned Forgiveness when a group of children, including my own son and daughter, choose to wander away from the garden and not participate rather than help out. In the end, this is my path and not theirs. Having them help when they genuinely want to, serves us all and feels better too! I have had to learn Compassion when a group of Grade 4 students are heartbroken over loosing their asparagus crop. In the same moment, I get to witness Gratitude when they hear about a school garden project in Maine that want to help them. We are all connected. And I constantly learn about Service and what it means to give without expecting anything in return. Wayne Dyer says himself that “the purpose of life is to give. The purpose of life is to enrich the life of others. The measure of your life will not be in the duration of your life but measured in the donation of your life. The more you give away, the more that comes back.” I see it all the time at Garden Club and during the Summer Work Bees with all the families and teen volunteers coming to help. I always encourage them to take a bag of veggies or herbs from the garden as a token of thanks and quite often, they turn the gifts down. Ok, maybe they don’t actually like squash or beans but I see them coming to help with open hearts and from a place of genuine giving of themselves to service their community and less of wanting anything back in return. There have been times when I have wanted to give up on this dream and questioned my purpose. Hearing Wayne speak about the lessons we learn along the way, despite the mistakes or obstacles, we need to see them as opportunities for growth shifts you away from feeling sorry for yourself “a victim” into a mindset of a student. I had the opportunity to hear him speak at an I Can Do It Conference in 2012. He was amazing. Time flew in the two hours that he spoke. How is it possible for me as a mother or teacher in life to help children get over their mistakes if I can’t get over mine? Children are always reflecting back what is deep inside of us; whether we like the reflections or not too. Even in the lowest times, it is a choice to see the light, to see the lesson and to grow from it. A part of this journey for me has been to reflect on the various teachings of new thought leaders. Wayne Dyer has been one of the main models to look to when it comes to knowing your worth, defining who you are, creating positive affirmations and living life with intention. Children, especially in a garden setting, are wide open to these ideas. Gathering them together outside at a labyrinth or a food garden, are easy places for children to see how they can make a difference, what an “intention” really is and how to turn a negative thought into a positive affirmation. We have to have an intention before we create a garden. Although mistakes happen, we can turn the mistake or misfortune into a positive lesson as in the time when we lost our asparagus or when someone kept taking our colourful Swiss chard out of the garden. 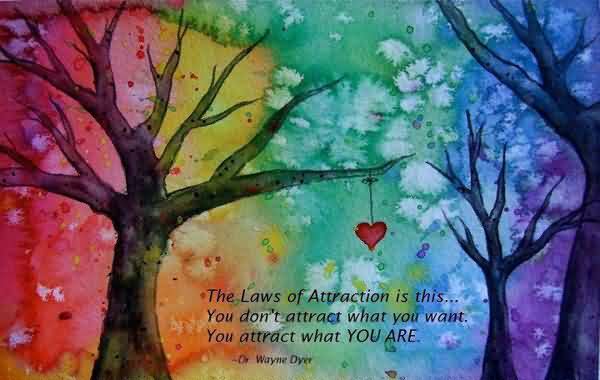 What has amazed me is that there have even been some students who know what the Law of Attraction is. When speaking to them about the labyrinth and what it has been for, they understand the concept almost completely because somewhere in their short lives, they have been shown or told about the Law of Attraction. They are open to the idea that you not only attract what you want but the Law of Attraction is also about attracting what you are. I have taught the kids before walking the labyrinth that if you are in a happy mood and want to continue to be happy, walk the labyrinth to amplify this in your life. If you are sad about something but have the intention to want to let it go, you can also do this when you walk the labyrinth and have the intention to be at peace. This is why we have the various virtues posted around our garden and why we would like to finish our labyrinth project with 4 reflection stations with the words: Love, Gratitude, Peace and Forgiveness. How blessed am I to have the opportunity at all to have these deep profound conversations with children? How blessed am I to create a wonderful outdoor teaching tool such as a school garden or walking labyrinth at a school and to bring these lessons to open minded children? Very. 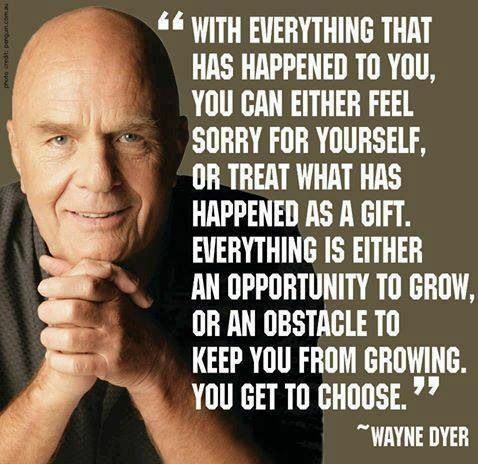 What I know in my heart is that there is actually little sadness for the passing of Wayne Dyer. I know he has lived his life fully, on purpose and with so much love. He has given in complete service to the world his wisdom and thoughts. He himself has said he was not a perfect person, husband or father. “My goal is not to be better than anyone else, but to be better than I used to be.” Isn’t this what we should all strive for? Although he is gone, so much of what he taught, a real legacy will always remain and this was his ultimate teaching anyway that life is not permanent, not perfect but ever changing. Who he was is that that never changes. Love. He is love, he gave love and I bet he is receiving an abundance of love still. Just as a garden is constantly changing, what always remains are the people who continue to care for it with love. This is my hope anyway. Thank you Wayne for sharing your light and your love! Onwards!